Ok, I'll be the first to admit it, I'm a BIG Clive Barker fan. 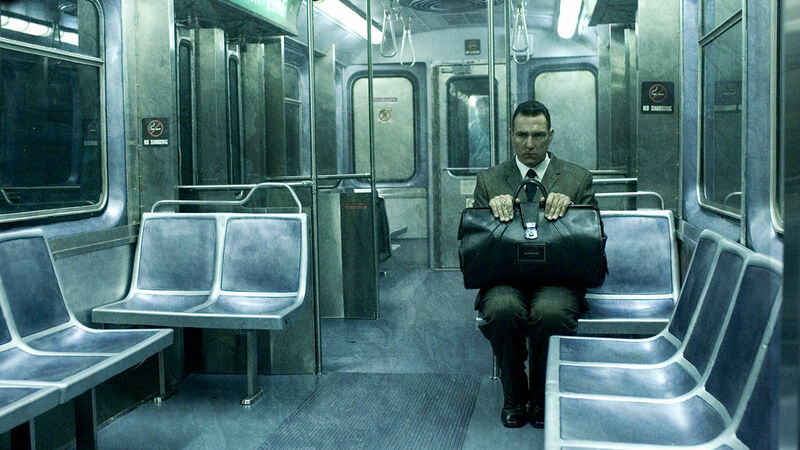 This past summer I read his Books of Blood: Volume 1 and one of my favorite short stories was the Midnight Meat Train. 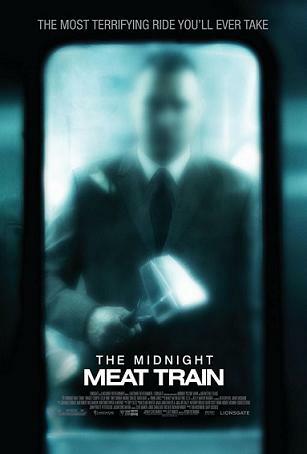 As you know dear readers, I subscribe to Netflix (since I reviewed 1922) and saw that Midnight Meat Train ~ the movie ~ was available for instant watch! The opening of the movie is bloody AF, so I felt like there's potential for this to be an accurate adaptation of the short story. Unlike the writing, the main character is a photographer, named Leon, played by Bradley Cooper, looking for his big break in the art scene. Brooke Shields plays Susan, the art gallery owner who decides what work goes into her art exhibits. I have to admit the photos Leon submits in the beginning are really ho-hum compared to his later grittier images. Susan sends him to take two more photographs worthy of an exhibit and he ends up obsessing over a butcher that takes the subway in NYC, to the point of even dreaming about him! Brooke Shields looks fab in this movie. The butcher has a fancy ring that appears to be a cult symbol. According to the short story there's an underground cult of creatures older than dirt (think Lovecraftian) that feed on the people they are given by the butcher to satiate them. It stops them from eating the other subway riders. The butcher is also described more in the book. He's strategic in who he chooses to kill. In the movie he chooses a giant meat tenderizer as a weapon, but he's capable of killing with various meat cleavers and tools. In a plot twist also found in the story, the subway conductor and police officers are in on the monsters that eat "meat" in the abandoned subway line. They are part of the circle that keeps the secret. Leon is a witness to the gruesome killings and there's a big fight scene at the end in the abandoned subway line. Leon wins and in turn becomes the new butcher and a servant to the monsters. The side story romance is annoying. It was added for the movie. Leon's girlfriend is a SUPER a-hole and is unsupportive of his work, she only wants to get married. She actually tells him to "only shoot things that make you happy". i.e. take pictures of me. (At this point I wanted to punch her in the face.) Don't worry by the end she's a goner. The hokey-ist eyeball-popping-out-of-someone's-head I've ever seen!